An interview with Jeff Yemin, Director of Content Management Systems at MTV Networks and a presenter at the upcoming MongoNYC conference. What do you work on at MTV Networks? I manage the backend development of our next-generation content management system. 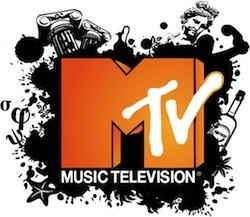 Tell us how MTV Networks is using MongoDB. What is the size and scope of the CMS application that you have built? MongoDB is the repository that powers our CMS, which will eventually be used to manage and serve content for all of MTV Networks’ major websites. Can you tell us why you chose MongoDB? I have to save something for my actual talk! But briefly, MongoDB is a good fit for a lot of reasons. The schema-less document structure provides a lot of flexibility, while the search capabilities provide a lot more value than you get with key-value stores. At the same time, from an operational perspective, it feels very much like MySQL, so our systems and DBA groups are quite comfortable managing the deployment. What were some of the challenges you faced using MongoDB for a large enterprise application? The biggest was probably convincing people that it was a good idea. Like most enterprises that have been around for a while, we have a long history of using relational databases, so this is a pretty big change for us. What’s next for MongoDB at MTV? Right now MongoDB is powering the recently re-launched spike.com, and we are going to be rolling it out on many other major sites within the next year, most likely including gametrailers.com, thedailyshow.com, comedycentral.com, nick.com, and numerous international properties. We’ll also be rolling out new MongoDB-based applications for social activity tracking and online polls. Learn more at Jeff’s talk at MongoNYC on June 7. Register before May 17 to take advantage of early bird pricing, which is only $50.